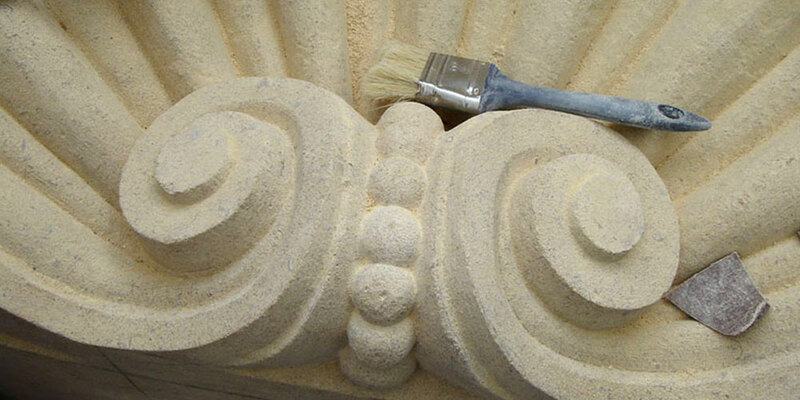 Stone craft and stonemasonry has existed as a craft since the dawn of civilisation when man could use and make tools. It is therefore not entirely unsurprising that it features not only across a variety of cultures but features heavily in some of the longest standing historic buildings of all time from Stonehenge to the Taj Mahal. Stones are mined by quarrymen who split veins, or sheets of rock, then extract the resulting blocks of stone from the ground. Our sawyers then cut these rough blocks into cubes by using specialised high powered diamond tipped saws. 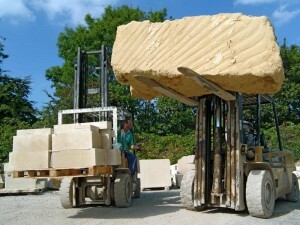 Stones can be subsequently carved into complex geometric shapes depending on the design requirement of a particular building or architectural drawing. Anything can be produced from simple chamfers to tracery windows, detailed mouldings and the more classical architectural masonry. This work is undertaken by masons referred to as banker masons. Most importantly, when working stone from a sawn block, it is vitally important to remember that the stone is embedded the right way. This ensures the finished work sits in the building with the same orientation as when formed on the ground. The basic tools, method and skills of the banker mason have existed as a trade for thousands of years. Carvers are the arts and crafts department of stonemasonry, tasked with the often artistic ability to carve stone into pictures – foliage, figures, animals or abstract designs. Fixer masons are those who are tasked with the job of fixing (as the name would suggest) stones onto buildings.